MFOAM is a subsidiary of Richardson Healthcare Limited. The company has over 50 years experience in the development and manufacture of support systems for operating tables. MFOAM mattresses and accessories are the result of an extensive research and development program. We tested numerous foams from the world’s leading manufacturers until the ideal combinations were found. Unlike like many other support systems available, MFOAM uses multi density foam technology to optimise pressure reduction and offer a superior product for the industry. Mfoam has invested in the very latest 1200 sensor pressure mapping system to monitor that all materials used in the manufacture of its mattresses offer the very best pressure relief. 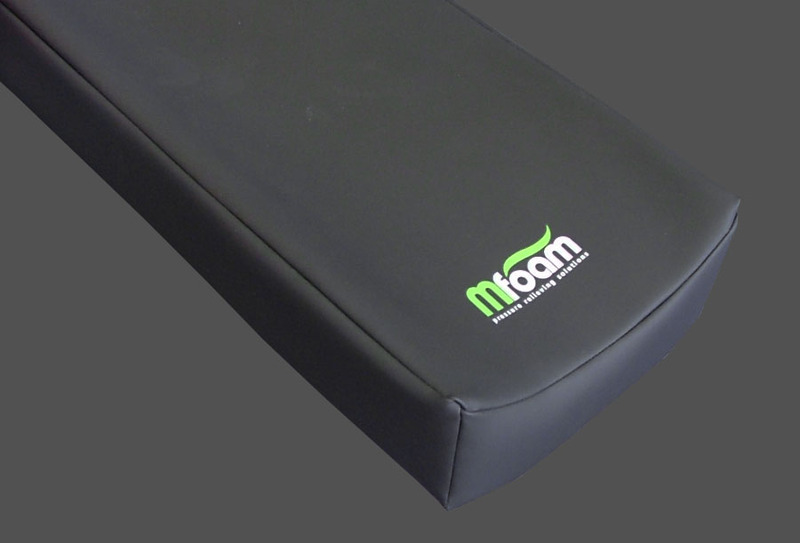 MFOAM mattresses are widely available from many OEMs and are used on operating tables around the world. 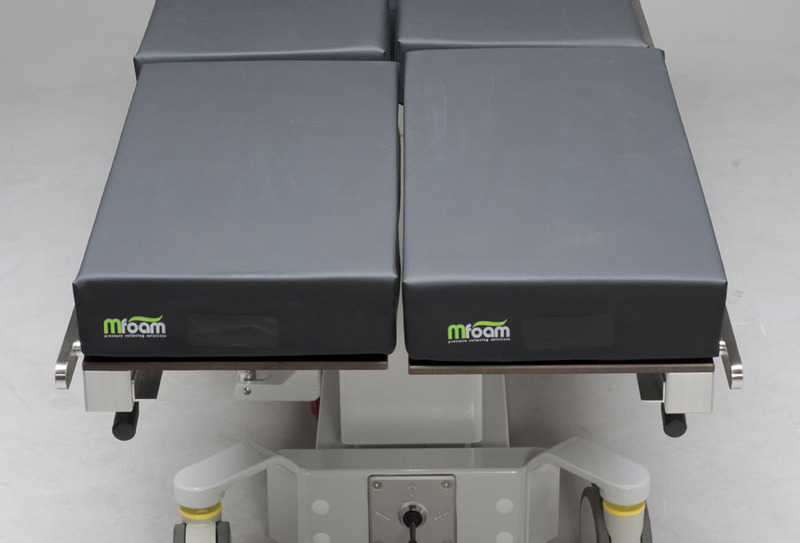 Our MFOAM mattress range has been successfully used on operating tables around the world for many years. All our products are seam welded offering superior performance in terms of infection control compared to stitched mattresses. Our multi-density foam construction ensures substantial pressure reduction unrivalled by moulded mattresses. Our extensive research and development and manufacturing process give MFOAM mattresses a significant edge of comparable products on the market. Heavy patients are in danger of sinking through existing foam mattresses and bottoming out on the solid table top. Bariatric patients often have additional health issues such as diabetes which is a common pre disposing condition for the development of pressure sores. An additional risk is that folds of skin can become trapped between the sections of the table top when a table is actuated into position. MFOAM offer two clear solutions for patients who weigh more than 130kg or have a BMI of 40+. Our bespoke bariatric mattresses are manufactured to OEM specification using a 30% higher density dual foam process with an increased thickness of over 100mm. All bariatric products have undergone full pressure mapping analysis using Vista Medical FSA pressure mapping technology. They benefit from all the features of our standard mattresses including sonic welded seams, unique airflow system, super stretch fabric, full compliance cetification. A cost effective alternative solution to a bespoke bariatric mattress is to enhance the existing support system with an MFOAM Topper. 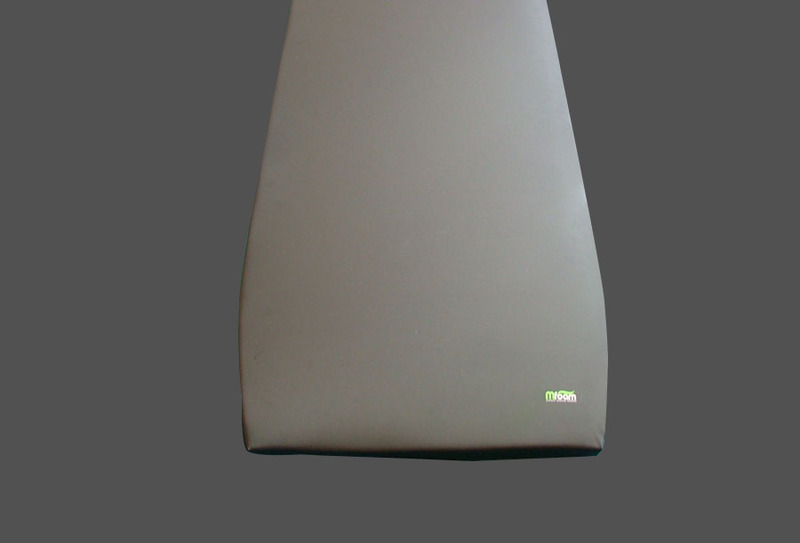 Manufactured to the same high OEM specification, the extra wide topper uses 50mm of high density Visco Elastic Foam for extra support. The topper is securely placed on the existing mattress utilising a non slip base to prevent slippage. MFOAM offer a range of accessories in our pressure relief range. We offer the same bespoke service and manufacture to the same high specification as our mattresses. Mfoam manufactures more than 200 different accessories including 40 types of armboard pads. MFOAM mattresses use a process of multi density foam construction – a result of extensive pressure mapping research and development. Lighter, more pliable foams are effective at the heels. A more resilient VEF is used for the buttock area to prevent “bottoming” out which can dangerously increase the risk of pressure sores. Your table manufacturer will have a record of your table. All MFOAM mattresses are custom made to original OEM specifications to be an exact match for it. MFOAM mattresses are developed with the OEM to optimise the pressure relieving benefits and compliment the features of each specific table. Our bespoke design and manufacture consulting process ensures a perfect fit for your table every time. Our quality control and audit procedures have resulted in exeptionally low failure rates of our mattresses from OEMs. MFOAM mattresses offer class leading pressure reduction with significant advantages in terms of infection control. Operating to a highly competitive cost base, the MFOAM product range offers significant value for money with superior performance in the market place. Richardsons has been manufacturing patient support systems for more than 50 years, and is able to advise table manufactures on mattresses options.